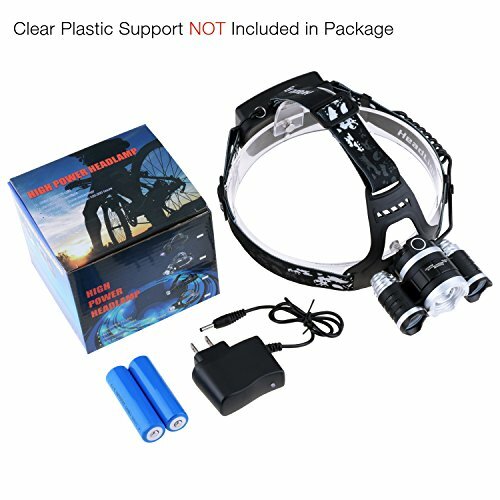 100% Brand New and High Quality CREE T6 LED Headlamp, Waterproof, but don't put it into water directly. 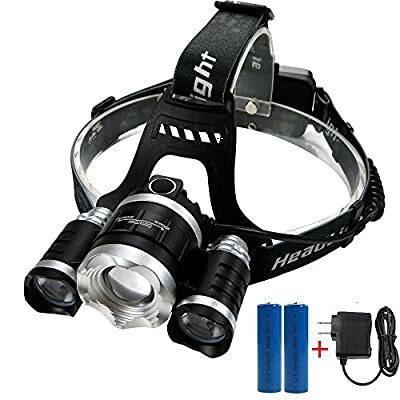 Function: 3 x CREE XM-L T6 LED Headlamp with 4 Modes plus zoom in/out, easily to spot on certain object, with an adjustable base enables you to change the light direction freely. 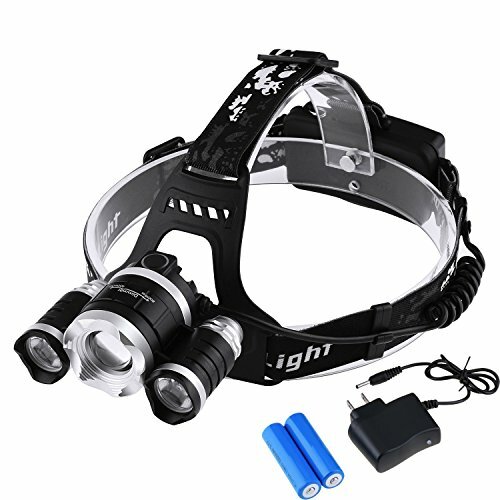 Suitable for the outdoor activities, such as cycling, camping, traveling, hiking, fishing and etc. LED Model: CREE XM-L T6 LED, 3 LEDs. One button switch design, with 4 adjustable modes, can meet your personal use. 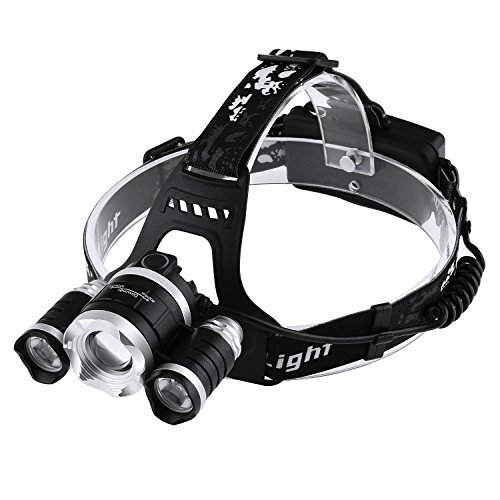 Upgraded version: central ZOOM in/out led, zoom out to get wide spread flood light or zoom in to spot on the object for certain purpose, maximum output could be 2200lms. Internal wiring applies the high efficient booster circuit, can utilize the batteries in the largest extent and protect batteries from overcharging. 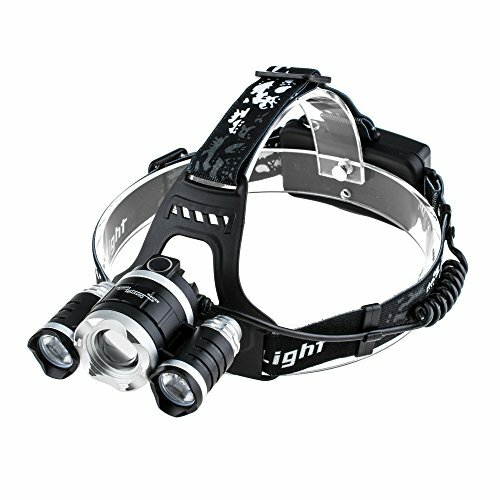 4 function modes: central led on, 2 side leds on, 3 leds on, strobe, zoom in/out, 90 degree adjustable base with back and forth inclination, fit for your personal needs. High capacity 2200mah batteries included ( real capacity, last longer than those said 3000/4000mah ), more reliable and safer, Water-resistant to some extent, but do not put it into water directly or use them in heavy rain, keep them in dry ventilated condition when not use.